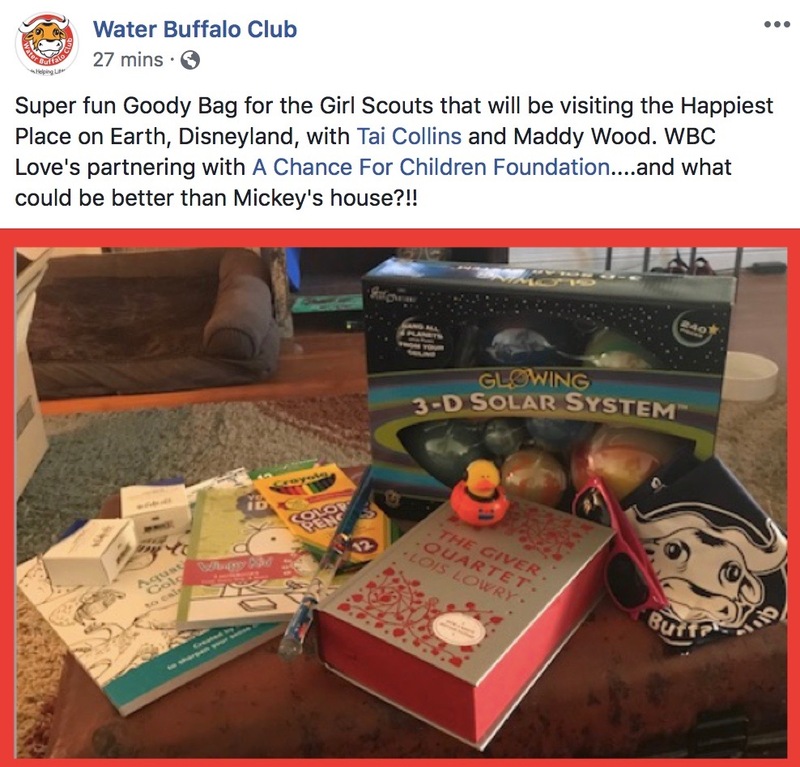 Thank you Shelly Wood and the Water Buffalo Club for your continued support of ACFC. The girls LOVED their goodie bags! !